Darlene has more than 40 years experience in project and product management and business unit development. With this experience she helped found Oasis Salon and Day Spa in Joplin, MO. Through the growth of that salon she spearheaded the building of a new 8500 square foot state-of-the-art facility. The involvement in Oasis brought about the idea of a private cosmetology arts and science school for which she oversaw the start-up and development of in City Pointe Beauty Academy. You will see Darlene at the Academy every day and involved in Academy activities. 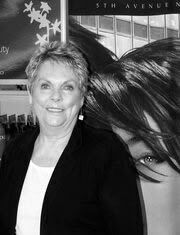 Darlene is also a partner at Salon 529 in Joplin.